Check out the silent auction at Celebration of Freedom! The auction is packed with one-of-a-kind items including exclusive event tickets, celebrity memorabilia, art, jewelry, gift baskets MUCH MORE! Friday, May 17 from noon to 5 p.m.
Saturday, May 18 from 10 a.m. to 5 p.m.
All proceeds from the auction goes to support the General Tommy Franks Leadership Institute and Museum. 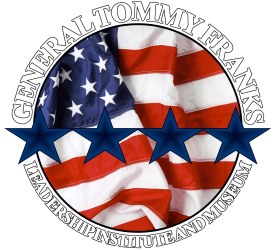 It supports all of the educational programming conducted by the General Tommy Franks Leadership Institute: Four Star Leadership with General Tommy Franks, Inspired Leadership Challenge, the Mobile Classroom + Road Show and the Inspired Leadership Experience. ​Check out the auction items below!